Stunned on this comeback. 3 TD’s in4th? Cam Newton is a freakin' baller. Despite the loss in arm strength, he's taken his game to a new level this season. Led our team in rushing again, over 100 QB Rating with 2 TDs. Reading the Eagles GDT meltdown is good stuff. definitely a game of 2 halves. the first half was horrible on O and D to the point where I actually fell asleep at half. woke in the 4th and it was all of a sudden a competitive game. hopefully this jump starts the team as we look lost for 6 qtrs. before the 2nd half vs. the eagles. poor tackling, bad throws, bad o line play, little pass rush. 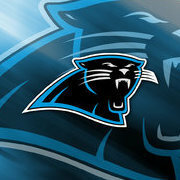 hopefully that changes and norv calls a better game and the D gets back to basics. still a wins a win esp vs. the defending champs.